Can You Name Four of the Healthiest, Tastiest Spices? This means that having a nice, healthy mix of people, thoughts, and experiences can make your life more interesting and, well, spicy. As with many traditional or natural cures, there is little scientific evidence to prove spices have healing qualities. The U.S. National Institutes of Health says it is possible that spices have health benefits. But there is not enough strong evidence to confirm such claims. From India to Japan to China, ginger is popular in many food dishes. Ginger has a hot, fragrant flavor. 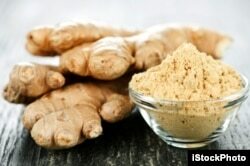 You can add ground ginger to many dishes, baked products and smoothies or other thick drinks. You can grate fresh ginger root, adding the small pieces to your favorite dishes. Candied ginger is a popular treat in many countries. Besides tasting great, ginger helps the body in many ways. Researchers have studied the anti-inflammatory qualities of ginger. An anti-inflammatory reduces swelling – the enlargement of a body part, often resulting from a build-up of fluid. So, ginger may help reduce pain in muscles and joints after you exercise. Turmeric is the main spice in curry and a relative of ginger. As a traditional medicine, many cultures use turmeric to fight depression, liver disease and skin disorders. This information comes from the U.S. National Institutes for Health. 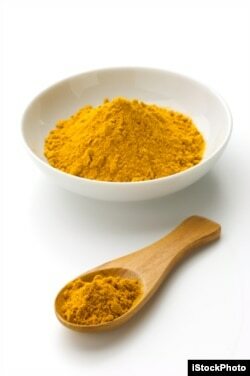 Some Indian researchers claim that a chemical in turmeric called curcumin can slow or stop the growth of tumor cells. They say it also can suppress enzymes that activate cancer-causing agents. 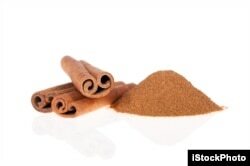 Cinnamon is one of many spices with strong antioxidants. According the National Institutes of Health, cinnamon has been used as a spice and traditional herbal medicine for centuries. Let us know about your favorite spice in the Comments Section and on our Facebook page. Anna Matteo wrote this article for VOA Learning English. George Grow was the editor.